Canada is a place that attracts millions of visitors every year due to its beautiful natural diversity and eclectic cities. Vancouver is a firm favourite with many tourists as it has a buzzing city life that offers a range of experiences, but a mere stone’s throw away is the breath-taking British Columbian wilderness, a place where you can feel completely alone with nature. This contrast is what brings tourists back year after year and becomes a firm favourite with everyone who visits. Naturally there is a lot to see and do in Vancouver and this guide offers suggestions as to what you can do so you feel like you have experienced the true spirit of the city. 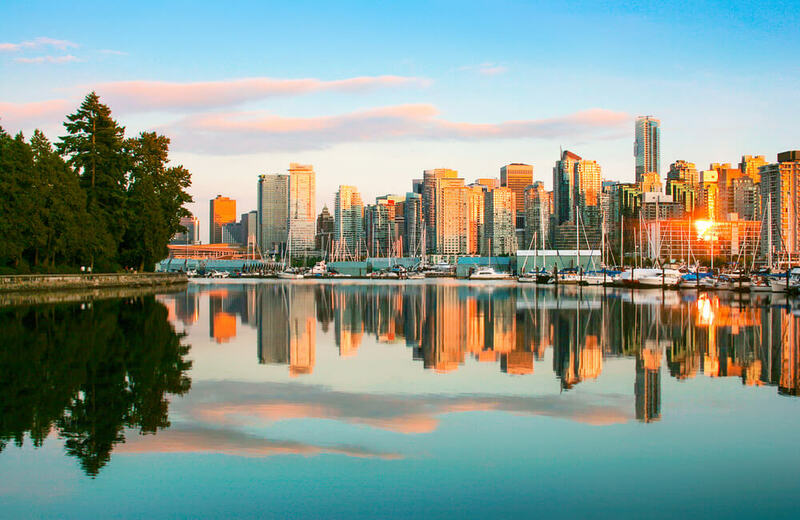 Naturally you would have booked yourself into one of the many hotels in the city, such as L’hermitage Vancouver Hotel, and your first day should consist of exploring downtown Vancouver. A mere stroll from the hotel will allow you to feel the spirit of the city and to familiarise yourself with the diverse culture. Chinatown is a great place to visit first as it is one of the oldest districts in the city, founded in the 1890’s, and is a must-see, especially if you are a big fan of Asian cuisine. Being the largest Chinatown in Canada and the USA, it has an amazing selection of Chinese restaurants that offer authentic dim sum and other amazing Chinese delicacies. If you want to immerse yourself further, head to the beautiful Dr. Sun Yat-Sen Classical Chinese Garden which is situated a short walk away from Vancouver boutique hotels. Not only is it an exquisite garden that celebrates the Chinese culture, it also gives a wonderful insight into Chinese architecture from all ages. After relaxing at the Vancouver hotel, it is time to take a day trip. A shuttle will collect you from downtown and whisk you off to the nineteenth century Capilano Suspension Bridge in the north where an incredible experience awaits you. First you will stroll through the rainforest before undertaking the 137-metre suspension bridge that stretches over the Capilano River, allowing you striking views of the scenery. Once you have braved the bridge, you will creep through the fir tree in the Treetops Adventure before walking along the lofty Cliffwalk that gives breath-taking panoramic views of the luscious fir trees and snow-capped mountains in the distance. For any lover of nature, this day trip is an absolute must. Not far from Vancouver hotel suites lies Gastown, an old-to-new district that is well known for its whistling Steam Clock. The oldest neighbourhood in Vancouver, it was founded by John ‘Gassy Jack’ Deighton in 1867 who ran a small tavern and, from here, it has grown into a place that harbours an array of Victorian architecture, trendy art galleries and up and coming fashion studios. It is a great district to explore on foot as it is all relatively accessible, for example, walking down Water Street will allow you to photograph the beautiful buildings, the vintage lampposts and, of course, the famous Steam Clock which is an experience in itself. From here you can head to the Vancouver Lookout to get a full 360 bird’s eye view of Vancouver before heading back to Gastown for a hearty meal, whether it is = European, Asian or simple home cooking, this neighbourhood has you covered.